Smith Proves his Doubters Wrong With a Shutout in Game 1 - The Point Data-driven hockey storytelling that gets right to the point. 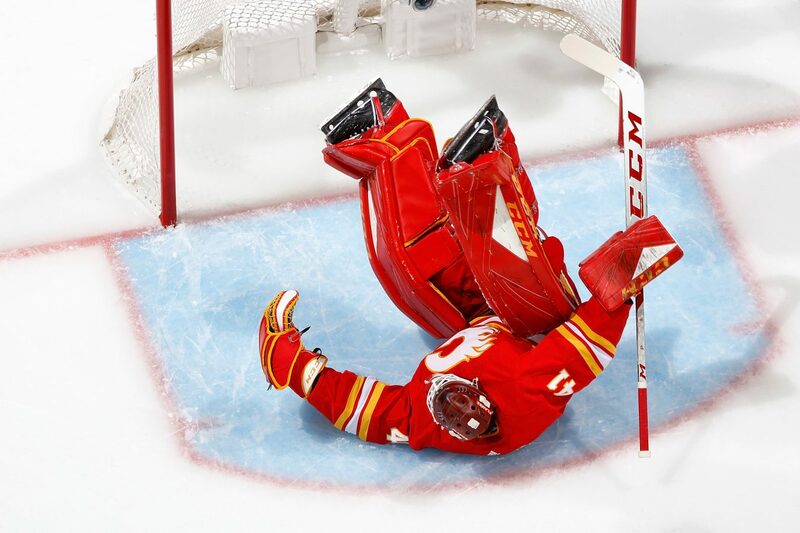 The biggest question mark coming into the playoffs for the Calgary Flames was their goaltending. Many people were debating who should get the start between Mike Smith and David Rittich but last night, Smith put those worries to bed making 26 saves to shut out the Avs in game 1. Smith made some key stops at the right time, flashing the leather on both Nathan MacKinnon and Gabe Landeskog, finishing with a barrel-roll on the latter. Smith had a tough season finishing with a .898 save percentage and a positive actual to expected goals against per game. This means that compared to league average goaltending he was below average. Last night, he was anything but that when he put up a brick wall in front of the net. 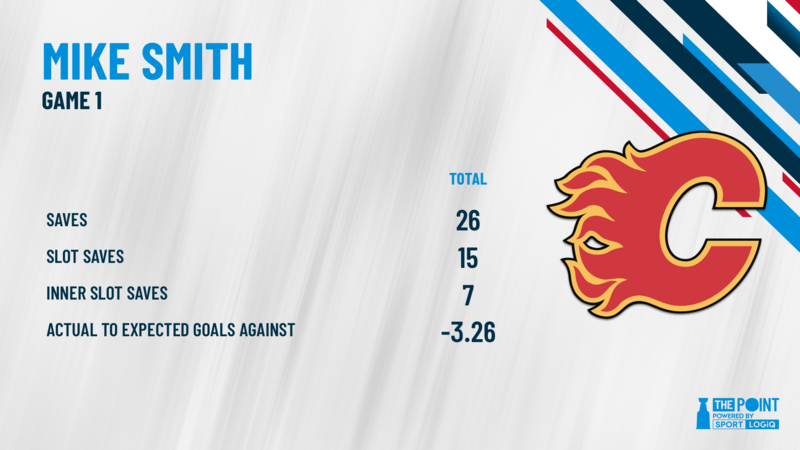 Smith’s actual to expected goals against means that compared to league average goaltending, he saved an extra 3.26 goals against last night. If he doesn’t make those stops it’s at the very least a 3-3 game that can go anybody’s way. Smith is so much more than a good goalie, he’s also a vocal leader on the ice. After a great play by his defenseman, Travis Hamonic, Smith gave him a hard tap as a way of thank you right in the middle of play and when Noah Hanifin took a penalty Smith went skating over to him to give him some advice. There’s no doubt the Flames can put the puck in the net and Smith even chips in on that offense from time to time like he did last night with his perfect breakout pass to Matthew Tkachuk who fired it into the empty net, but when Smith is on they’re almost impossible to beat. Smith’s play this season has been uninspiring but if he continues to play the way he did last night, Canada’s first Stanley Cup since 1993 just might be on its way.